Warranty: 12 Months (Only eligible for products sold by Laptop Adapter )Resolution : 1600 x 900 WXGA++ 40 pin LED connectorThe LED connection is a single flat connector that goes on the bottom left if..
Safely packaged, guaranteed to be in stock. The highest quality Screen availableWarranty: 12 Months (Only eligible for products sold by Laptop Adapter)Resolution : 1366 x 768 WXGA HD 40 pin LED connec.. Brand New, safely packaged, guaranteed to be in stock. The highest quality Screen availableWarranty: 12 Months (Only eligible for products sold by Laptop Adapter )Resolution : 1366 x 768 WXGA 40 pin L..
NEW SONY XPERIA SGP311 SGP312 10.1" TABLET SCREEN WITH DIGITIZER ASSEMBLYWARRANTY: 3 MONTHS (ONLY ELIGIBLE FOR PRODUCTS SOLD BY LAPTOP ADAPTER)"PLEASE CHECK THE PICTURE PRIOR TO PURCHASE, PLEASE BE CA..
NEW LENOVO YOGA 13 13.3WARRANTY: 3 MONTHS (ONLY ELIGIBLE FOR PRODUCTS SOLD BY LAPTOP ADAPTER)SCREEN SIZE:13.3WE WILL SUPPLY COMPATIBLE SCREEN WITH DIGITIZER FOR LENOVO YOGA 13 WHICHEVER PART NUMBER WE.. 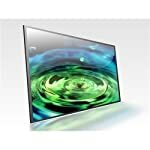 Laptop LCD Screen for Sony, Samsung, Toshiba, Acer, Apple Macbook, iPad, HP, and more.